Tropical plants grown in Canada must spend part of the year as indoor plants. Canada has no areas that are tropical, and tropical plants will not survive the cold Canadian winters. However, tropical plants growing in pots can be put outdoors as ornamental plants during the summer and warmer parts of the spring and autumn. By bringing them inside when temperatures are forecast to drop below the levels at which the plants can survive, you can grow many different tropical plants in Canada. Citrus are both an ornamental plant and also a natural air freshener. Citrus are normally thought of as tropical plants. However, many varieties also grow very well in pots. The trick to growing citrus in pots is to grow them in potting soil that drains very well and re-pot or root prune the trees to reduce issues with pot-bound trees. 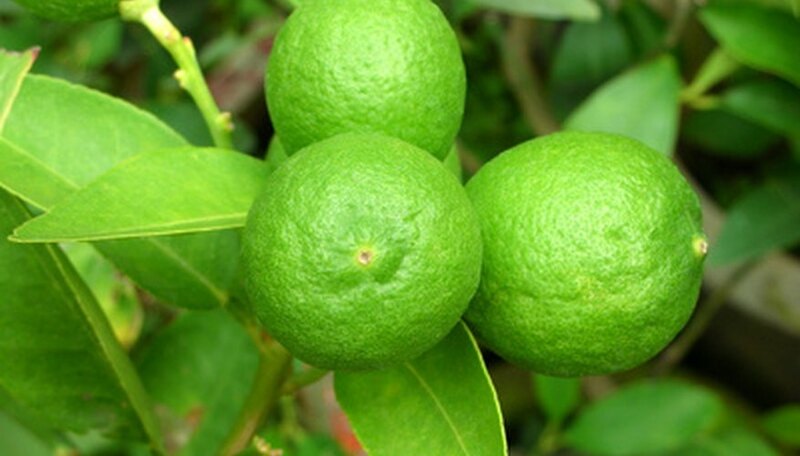 Citrus trees that are naturally smaller include lemon, mandarin orange and lime trees. Other trees, like orange and grapefruit, should be grafted to a dwarf root stock to make them suitable for potted cultivation. If you keep your potted citrus outside during warm seasons, be sure you bring them in when temperatures are forecast to drop below 40 degrees F. Citrus need a lot of light. Keep them in south- or west-facing windows. In the extreme north of Canada, where days can be short in the winter, you may need a supplemental grow light. Although palms will not survive in most of Canada, Vancouver island has a sub-Mediterranean climate and can support some types of palms. However, palms will grow as potted plants in other parts of Canada. Potted palms suffer from the same kinds of problems as palms growing in the ground. Nutritional deficiencies are common, so regular fertilization with a balanced fertilizer is recommended. Smaller palms may grow in partial sun, but most palms do best with full sun. As with citrus, growing palms indoors in the extreme northern parts of Canada may require supplemental grow lights. Potted palms can also grow outside during the warmer seasons. Although not all orchids are tropical, many of the showier orchids with larger blossoms are tropical or sub-tropical orchids. Growing orchids as indoor plants in Canada requires an understanding of how orchids grow in nature. There are two types of orchid: terrestrial and epiphytic aerial. Terrestrial orchids grow in the decomposing leaves of the forest floor. Aerial orchids attach themselves to the bark or wood of a tree. Growing terrestrial orchids indoors in Canada requires a rich potting soil that drains well with high organic content. Aerial orchids grow best in a bark mixture or coconut coir. Because they generally grow in protected areas, most orchids do best in partial sun or shade. Orchids, especially aerial orchids, need frequent water. Because of this, traditional fertilizers often wash from the soil. When fertilizing your orchids, use a specially formulated orchid fertilizer. If you grow your orchids outdoors, be sure to bring them in when the temperature drops below 40 degrees F.